Set the scene aglow with Linari Cielo candle and let the thrilling scent arouse your senses. An earthy attitude..majestic woods having an intoxicating encounter with the crispiness of citrus notes. Bergamot and tangerine open the fragrance with a fresh burst of summer sunshine. Cedar and rosewood in the heart remind you of a dew covered green forest. Alluring musk rounds off the sensual and animalic accent. 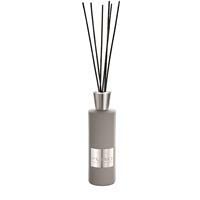 Warm and inviting, the fragrance fills the room with sophistication. Enjoy a night in and get lost in the mesmerizing flicker of our candle. The Linari Cielo Candles have a great throw that will reach into all nooks and crannies of your space. 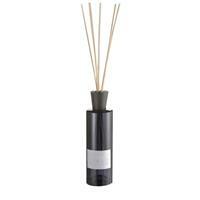 Use it in the office or home and feel the scent linger in the air. Decorated dark brown glass container with a precious Zebrano wood lid adds a touch of class to any room. Use the wooden sniffer lid as a base for the candle while burning. Hand poured in France and blended from the best essential oils; our candles have a burn time of 50 hours. CIELO fragrance notes: Crystal clear with the purity of the deep blue ocean and the tart-fruity nuance of bergamot, pink grapefruit and lime, surrounded by tender fragrance of the ocean. Fine accents of orris and tonka round off the radiant freshness. The 190g (6.5oz) Scented Candle LINARI-AVORIO comes with a decorated translucent French glass container with a luxurious maplewood lid.